Herrera's parents both deny knowing their daughter's whereabouts, according to YPD. It remains unclear if Herrera had left the area on foot or in a vehicle. Police released more details about Herrera's disappearance earlier this week, while family and friends begged for the community's help in bringing the youngster home. Authorities said that Herrera has threatened to hurt herself in the past. Circumstances: Damaris may still be in the local area. She has a birthmark on the inside of her forearm. Damaris was last seen wearing a navy blue polo shirt, black pants, and pink earrings. * Please pass on to ALL you know in USA & Mexico. Thank you. Damaris Natalie Herrera, a 10 year old female, became upset and fled from her parents while in the parking lot of the YMCA at 2550 S. 4th Ave. Damaris and her parents were at that location to exchange Damaris from one parent to the other when she became upset and ran towards the alley behind the YMCA. The Yuma Police Department was immediately called and officers searched the area surrounding the YMCA but Damaris was not located. It is unknown if she left the area on foot or possibly got in a vehicle. Along with the ongoing custody issues between the parents, Damaris has made statements to harm herself. Both parents deny having any knowledge of her whereabouts and the Yuma Police Department is actively investigating all leads. Damaris Herrera is described as a 10 year old Hispanic Female, 4’8, 78 lbs with shoulder length brown hair & eyes. She was last seen wearing a navy blue ‘Harvest Prep’ polo shirt, black pants, white socks, white shoes and she was wearing green earrings in both ears. Yuma Police Department detectives are asking that anyone who was in the area at the time Damaris disappeared or have any information to please call Detective Tejeda or Sgt. Rodriguez at (928) 783-4421 or 78-crime to remain anonymous. Fingers Xed. Ill keep an eye on the news. Then hopefully we can move this story. Thanks a million smokie All crossed. Damaris's case is no longer listed on National Center for Missing & Exploited Children website! Cannot find any other news relating to this case at the moment! Thanks for that Twiggy as was listed yesterday day time. Ok we need to find news articles now if can. I have contacted NMEC. Hope to get a response as no news articles. Summary: Updated information indicates Damaris’s mother, Chrystal Abren Lopez has fled to Mexico and had knowledge where Damaris was all along. Thanks Twiggy. You know the Police suspected this early on ! The little girl is with her mum which is good news but a sad story and the custody still goes on. I see photo of Mother & daughter now on Missing Kids website. Missing since 10 December 2008. 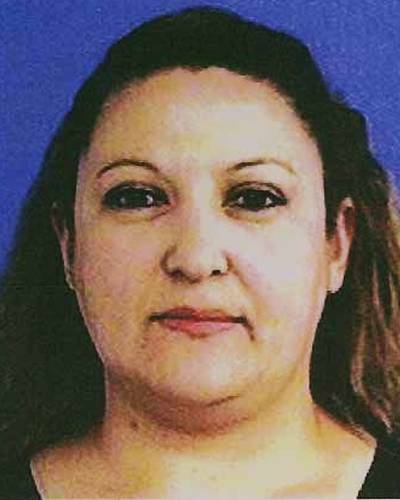 Damaris is believed to be in the company of her mother Chrystal Abren Lopez, pictured below. Damaris' photo is shown age-progressed to 11 years. No updates other than the age progressed image are available at this time. 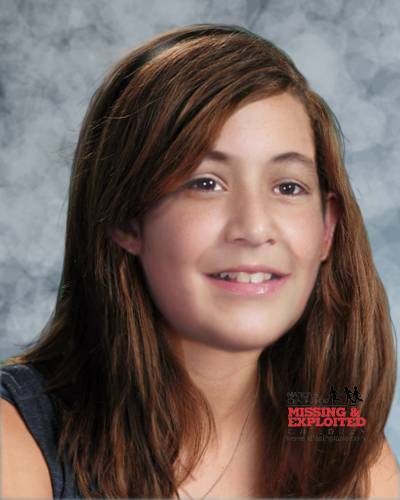 Damaris was 10 when she went missing. She would be 12 years old now. Damaris is still listed as missing. Damaris will be 13 years old next month. Damaris is no longer listed on Missing Kids Website.. However I have read on another site that the case of Damaris Herrera-Lopez missing from Yuma, AZ, has been restricted. Whatever that actually means...... At a guess another child located abroad but not returned back home to the USA. 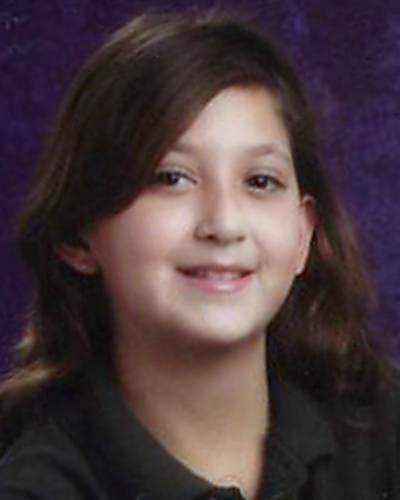 Information taken from The Charley Project Website..
Herrera-Lopez, 10, was abducted by her non-custodial mother from Yuma, Arizona on December 10, 2008. In May 2012, she and her mother returned to the United States and turned themselves in. They had been in hiding in Mexico. Herrera-Lopez's mother was arrested and the child was taken into protective custody. A mother accused of kidnapping her daughter in 2008 is negotiating a plea deal with the State of Arizona. Chrystal Lopez faces charges of kidnapping per domestic violence, custodial interference per domestic violence, and fraudulent schemes. Yuma police say Lopez orchestrated the kidnapping to take her daughter, Damaris Herrera-Lopez, to Mexico following a custody exchange in the McDonald's parking lot on 4th Avenue in Yuma on December 10, 2008. Nearly 4 years later, Lopez was arrested at the San Luis Port of Entry after turning herself in on May 16. Lopez appeared in Yuma County Superior Court for a hearing before Judge Maria Elena Cruz. Her attorney, Terri Capozzi, told Judge Cruz a plea deal is being negotiated and the state has requested two more weeks. A continuance for a change of plea or trial date setting in this case was set for next month. Lopez remains behind bars on $50,000 bond.